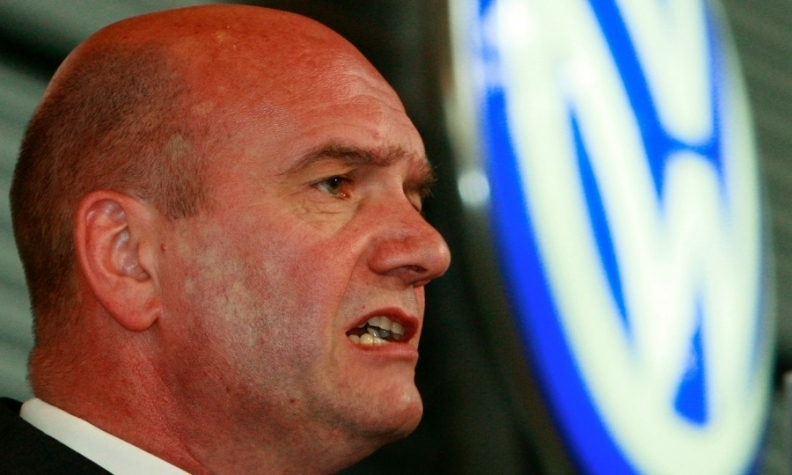 Bernd Osterloh has called on VW management to ensure workers won't bear the brunt of the automaker's transformation. BERLIN -- Volkswagen Group's efficiency drive at its namesake brand is paying off, but talks over further savings and strategy changes will be tough, said Bernd Osterloh, the automaker's labor boss. Europe's largest automaker said on Wednesday its first-half profit rose 7 percent to 7.5 billion euros ($8.3 billion), excluding one-off items, beating forecasts and helped by an improved performance at the mass-market VW brand. However, the German group is under pressure to make more savings to help meet the billions of dollars of costs following its admission in September that it installed illegal software to mask emissions on about 11 million diesel vehicles worldwide. VW also said in June it needed big savings to help fund investments in electric cars, transport services and autonomous driving. "We are facing a lot of work in the coming weeks," VW works council chief Osterloh told Reuters in an interview. Analysts have said a lasting improvement in profitability at the VW brand, the group's largest by sales, will depend on ongoing talks between management and labor over the future of German plants and a long-term strategy for the brand. VW's powerful unions are seeking fixed targets for production and investment in order to protect jobs. "This will not always work without any tensions," Osterloh said with regard to the talks due to resume next week. VW's labor boss said he had reached a common understanding with brand chief Herbert Diess to create a financially strong and innovative brand that can offer stable jobs, good pay and a reasonable rate of return. "We are pulling together with Mr Diess as long as the direction is right," said Osterloh, who has called on management to ensure workers won't bear the brunt of the transformation. "It's common knowledge that I like battling for Volkswagen and its employees, and with all my strength." The talks started in early June and are due to be concluded in time for VW's annual review of spending plans in November.